Your Child is the Guest of Honor! “We really enjoyed our time there last Sunday. All the girls had a blast and every single parent came to me and mentioned it was a great party and what a great job you and the team did to keep them focused and engaged. Thanks so much. 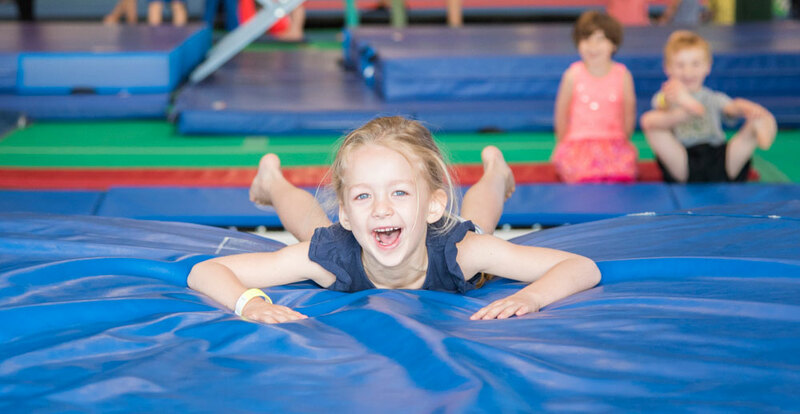 We will be returning in the future!” – Claire K.
The Klub Gymnastics’ Koaches lead the birthday child and their guests through games and activities out on the programming floor while grown ups are invited to sit back and relax in our spacious party room. This time includes guided use of trampolines, beams, bars, foam pits, etc. Guests have the opportunity to tackle exciting obstacle courses, play inspiring games, and learn new gymnastics skills. After a memorable photo is snapped of the birthday child and their friends our Koaches lead guests into the party room for food, cake and celebrating. Klub staff handles serving food, cutting cake and cleaning up. When the party is over we help load up gifts and leftover party supplies. 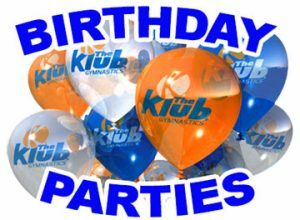 The birthday child receives a Klub Gymnastics birthday shirt and balloons to take home with them! 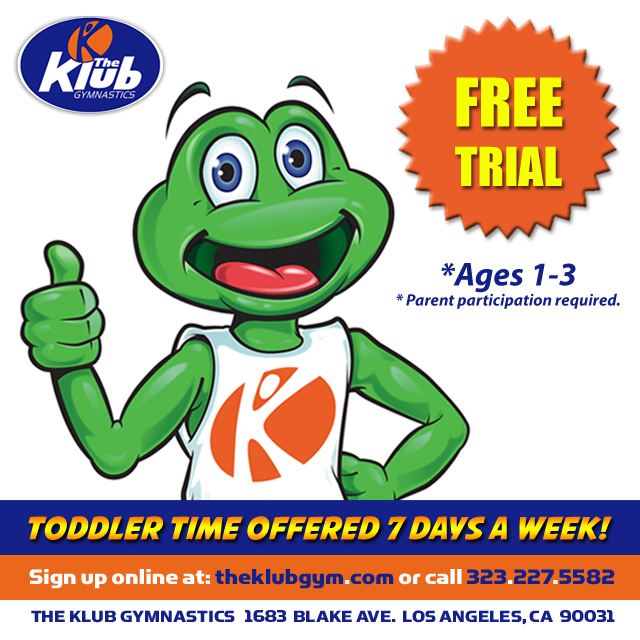 Klub Night Out Returns to The Klub Gymnastics May 4th!